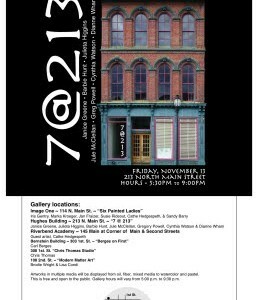 Henderson’s first-ever Gallery Hop will be held Friday, November 13th. Six locations in downtown Henderson will house exhibits by 18 area artists from Kentucky and Indiana. Artworks in multiple media will be displayed, including works in oil, fiber, mixed media, watercolor and pastel. This is free and open to the public. 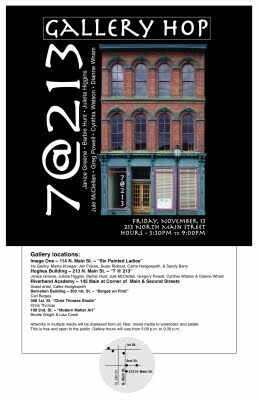 Gallery hours will vary from 5:00 p.m. to 9:30 p.m.
For information or a map contact the Henderson County Tourist Commission at 1-800-648-3128 or info@hendersonky.org or Jule McClellan at (270) 827-3600 or jule@ohiovalleyart.org.